Registrations have opened for the BusNSW 2014 Member Conference which will focus on the need for operators to invest in efficiencies and performance – as well as incorporating the annual Golf Day. The conference will be held at the Crowne Plaza, Hunter Valley on April 15 and 16, with the theme "A new Horizon for Investment". Executive Director Darryl Mellish says the theme reflects the need for bus and coach operators to invest in efficiencies and performance to benefit the customer and government. "Tendering and contract security are key issues for BusNSW members in 2014 and therefore BusNSW encourages operators, suppliers and industry stakeholders to attend this conference," he says. "My industry report will concentrate on contract renewal and the evaluation of operator performance." One of the keynote speakers for the event will be new Transport for NSW Director General David Stewart. "We are very pleased that David Stewart has agreed to speak at the conference after a short period in the job," says Mellish. "David’s appointment provides a great opportunity for the industry to refresh its partnership with Transport for NSW." The conference will officially start with the Welcome Party followed by a full day of conference sessions planned. Topics to be presented during the day include accreditation reforms and technical matters, industrial relations changes impacting on your business and understanding your financial situation to stay in business and prosper. Before lunch delegates will be entertained by a special guest speaker and the conference will conclude with an afternoon panel discussion on contract security and succession planning. The Wednesday evening Conference Dinner will have a "Denim & Diamonds" theme providing an ideal opportunity for delegates to relax and network. 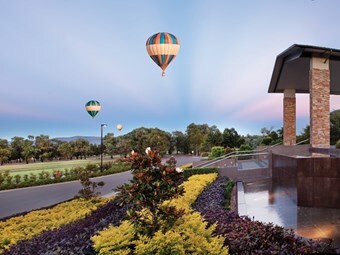 Preceding the conference will be the annual BusNSW Golf Day on Tuesday April 15, at the Hunter Valley Golf Club which is located within the Crowne Plaza complex. The event is 2 ball ambrose suitable for social golfers with a shotgun start at 10am, and provides an opportunity for operators and suppliers to network whilst enjoying a round of golf. Operators, suppliers and industry stakeholders are encouraged to register with BusNSW and book accommodation early. There are limited spaces for the Conference and Golf Day remaining. For more information please contact BusNSW on 02 8838 9500.